A Trellis is a beautiful addition to any garden. You can put them just about anywhere plants will grow, whether it be in the sun or shade. They will also provide extra privacy from neighbors or just people passing by. 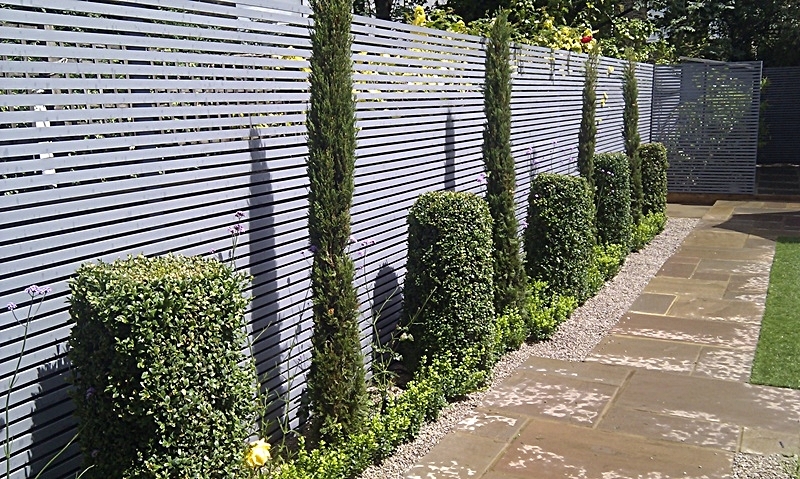 Trellis Screens are decorative screens that can be either free standing or attached to a wall. They are made from wood or metal, and are available in numerous shapes and designs. A Trellis is basically a frame used to support climbing plants and vines. The free-standing trellises are often in the shape of an arch and are used as a gateway into a garden or side return They can be covered with roses or other flowering plants. The other free-standing trellis is an Arbor. An Arbor is in the shape of an open porch without a roof. It usually supports Ivy, Vines, Roses or other plants that grow up and sideways. Framework trellises are flat and come in the form of a square, fan, rectangle or just about any other decorative shape. They are mostly fastened to the wall of a house or building with plants growing upward, winding through the open slots. Since a Metal Trellis can get extremely hot in the direct sunlight, some plants will not grow on them. You need to find out beforehand whether the plant you intend to grow can tolerate the heat. Wooden types are best for vegetables such as beans, peas and most garden plants. A garden Trellis can become the focal point of any garden and is guaranteed to dress up you’re a plain, boring walkway or gate. There are a few things you need to consider when choosing plants to grow on your Trellis. Plants which grow too fast and are large or heavy can break or bend the trellis. Select plants that will give you the proper density if you are looking to form a barrier. Make sure that the light conditions are right for the plants that you have chosen. Select plants that do not have extremely thick stems when they have matured, this can result in the trellis either warping or breaking. Some plants that are great to grow on trellises are: Clematis, Jasmine, Virginia creeper, Honeysuckle, Wisteria and Bougainvillea. Remember, all plants are not created equal so you should take your time and find the plant that will be perfect for the Trellis of your choice.